A traditionally important food source for Northwest coastal Indian tribes, the native litttleneck clam has a thick, often beautifully patterned shell. These clams can be found in the middle to lower intertidal zones on stable beaches with a mixture of gravel, sand and mud. They naturally reproduce in the wild and their recruitment can be aided by providing protection for juveniles by predators such as small crabs and fishes. 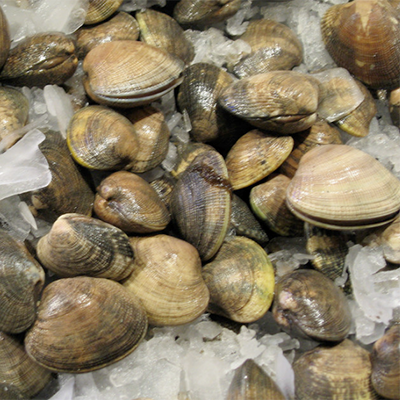 Manila clams are not native to Washington State but have become the dominant intertidal clam grown for commercial harvest throughout our marine waters. 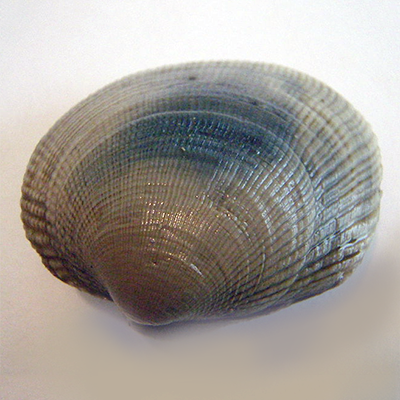 Found three to four inches deep on sandy-gravel beaches, Manila clams grow to their harvestable size of 1.5 inches in two to three years depending on food availability. Manila clams can spawn in the wild and are augmented by hatchery seed. This meaty shellfish, found on the surf-pounded beaches of Washington’s Pacific coast, can grow to six inches in length. One of the most sought after shellfish, the razor clam’s shell is thin, oval and gold-colored. 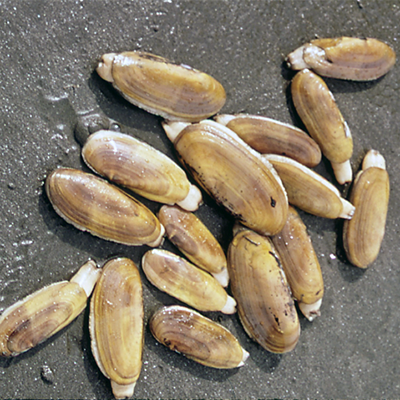 Razor clams spawn in the wild and while hatchery seed development has been limited on the West coast, it has been very successful on the East coast of the United States.